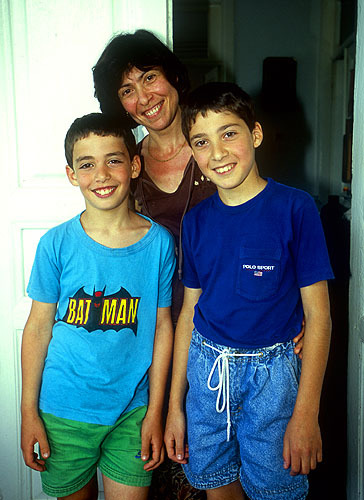 Galina Kotidi and her sons Georgis and Jannis - the daughter and grandsons of Matvi Pavlidi in picture 61. He said "We have no country of our own. We are like a pile of leaves, blown by the wind. We are the children of Greece, but our great civilization is a broken mirror and we are one of the pieces"